A top-secret nerve gas created by Stalin during WW2 goes missing for over 70 years and is discovered in modern day Bulgaria. It explodes, turning the inhabitants of the town against each other in a killing frenzy. 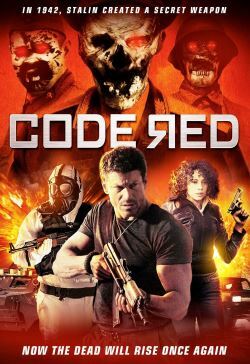 However the gas has an even more deadly effect: it causes the dead to be re-born…NATO Doctor Ana Bennett and US Special Forces agent John McGahey are trapped on the island as chaos reigns. They must escape before the Code Red alert is raised at dawn, and military orders are given that will ensure its entire destruction.